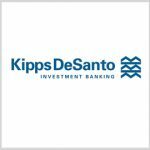 KippsDeSanto & Co. said it believes General Dynamics’ (NYSE: GD) acquisition of CSRA shows the continued focus of government technology sector buyers on efforts to build up scale and expand next-generation information technology capabilities through mergers and acquisitions. General Dynamics’ IT business will realize approximately $10 billion in annual revenue following the completion of the deal that will make the company the second-largest government IT services contractor after Leidos (NYSE: LDOS), the Tysons Corner, Virginia-based investment bank said Monday. KippsDeSanto noted that it considers TransDigm Group’s planned $525 million purchase of Extant as the aerospace and defense deal of this year’s first quarter. Extant expects aircraft aftermarket sales to account for 80 percent of its fiscal 2018E revenue and that the majority of its full-year aftermarket revenue to come from the military-end market. 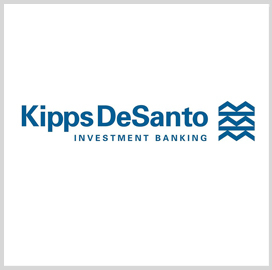 KippsDeSanto cited other notable M&A transactions for the quarter ended March 31 and those include Curtiss-Wright’s (NYSE: CW) 212.5 million cash acquisition of the Dresser-Rand government business from Siemens; ASGN Inc.’s (NYSE: ASGN) $775 million purchase of ECS Federal; and KBR’s (NYSE: KBR) pending buy of Stinger Ghaffarian Technologies.